Yakushima Sea's Hu Journey Road is located on the south side of Yakushima. It is a place where you can enjoy the resort feeling which is relatively warm in Yakushima and has many sunny days. However, it takes from 30 minutes to 1 hour to the airport and port, 1 hour to 1 / 1.5 hours to the main climb mouth, it is also a place not very convenient. 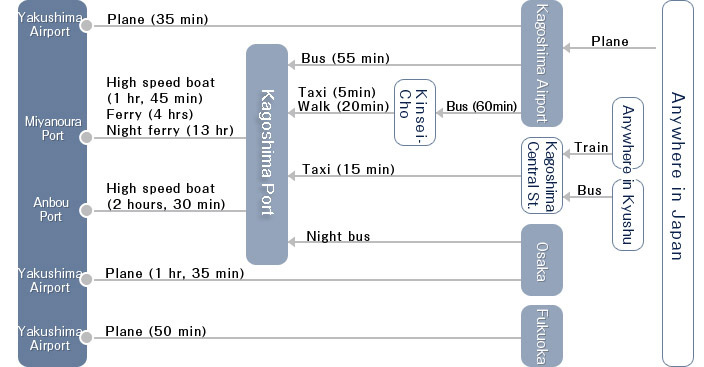 * It takes 30 minutes by car to Aobo, 40 minutes to the airport and 50 minutes to Miyanoura. Rental car is recommended for moving on Yakushima! It takes about 3 hours by car just to make one round of the island. Therefore, it costs a lot of money when you use a taxi. 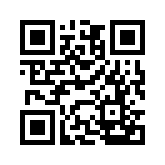 Of course it is not running around like in the city so you can not catch it without a phone call. The number of buses is small, so when you go sightseeing you get a considerable time limit. Therefore, what we recommend is "car rental". I think that it is an indispensable existence in Yakushima sightseeing that I can go where I like at any time. Costly, I think that there is no big difference as a result of using a bus or a taxi. Tida don't have pick-up service, so we recommend to use rent a car. There is a blue sign on the sea side of the prefectural road, so please come and see it as a landmark. It bends to the sea side with a signboard and is at the very end which went straight down directly. 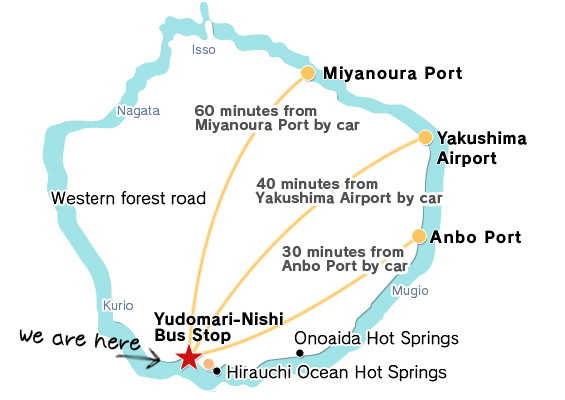 The nearest bus stop is "Yudomari Nishi". If you come from "Miyanoura" or "Anbo", should take "to Kuribayashi Bridge" or "to Ohko Waterfall". 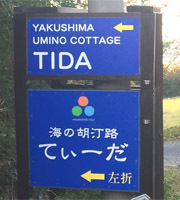 Please be aware that if you get on "to Iwasaki Hotel", you will not be able to reach "Tida". CopyRight 2013 - 2019 © Yakushima Umi-no Cottage Tida all right reserved.